Omaha Police blocked off an area near 24th and Leavenworth streets Friday afternoon to investigate the scene where witnesses say a pedestrian was struck by woman test-driving an SUV. The driver then fled. UPDATE 5/26/2018: OPD identified the pedestrian as 48-year-old Ruben Batres. UPDATE 7:47 p.m.: Omaha Police say the pedestrian has died from his injuries at Nebraska Medicine. His name has not been released. Police booked 33 year old Nickole Wheeler for leaving the scene of a personal injury accident. 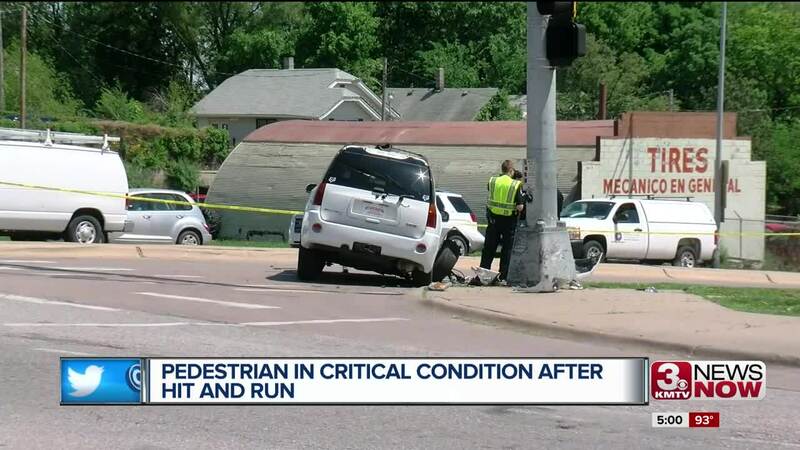 A woman test-driving an SUV struck a pedestrian near 24th and Leavenworth streets Friday afternoon then fled the scene, according to witnesses. Omaha Police said a man was transported from the scene in critical condition. Officers said a woman test-driving a white SUV from a nearby dealership fled the scene after hitting a pedestrian. She drove several blocks before witnesses and bystanders followed her, one of them convincing her to return to the scene, police said. Sgt. Chuck Casey said a traffic investigator would be looking into what caused the incident. Police blocked off the area for a couple hours Friday afternoon.